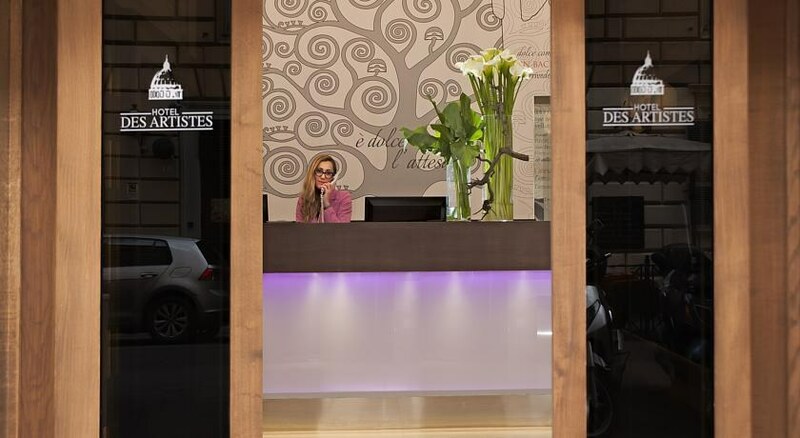 This hotel enjoys a location in the centre of Rome. 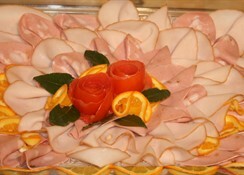 It is just a few minutes from the underground station and Termini main train station, around 500 m away. Countless sightseeing attractions, shops, restaurants, bars, taverns, museums, nightclubs, etc. are within walking distance or easily reached with public transport. 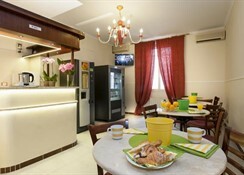 Ciampino airport is located around 30 kms from the hotel, while Fiumicino airport is roughly 35 kms away. 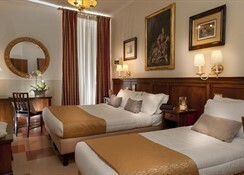 Built in 1850, the family-friendly hotel comprises a total of 33 rooms spread over 5 floors. The hotel also features a bar, three public Internet terminals and a sun-roof garden. 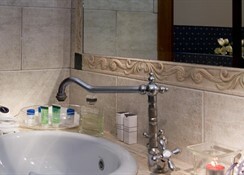 Each of the accommodation units comes with an en-suite bathroom. Further fittings include Internet connection, satellite/cable TV, air-conditioning (individually regulated) and central heating. 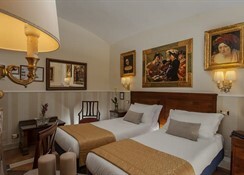 The rooms are soundproof and feature mahogany furniture, antique paintings or original artwork.